Xiamen Shenglang Saichuang biotech Co. Ltd is located in Xiamen special economic zone of China. It is a high-tech enterprise specialized in research, development, production, Peptides, Sarms, Weight loss materials, and other Pharmaceutical raw materials. It has a number of independent research and development of the national patent, and established a mature marketing network system in the international community, the flagship product of Cinnamic series sold throughout not only domestic, but also more than 100 countries and regions like Southeast Asia and Europe and the United States. We have a professional packaging team and our own logistics company, to ensure the smooth delivery of goods to all countries in the world. 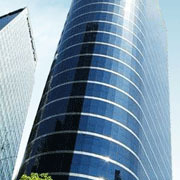 AdressCathay Pacific Building,392 Jiahe Road,Huli District,Xiamen City,Fujian Province,China.